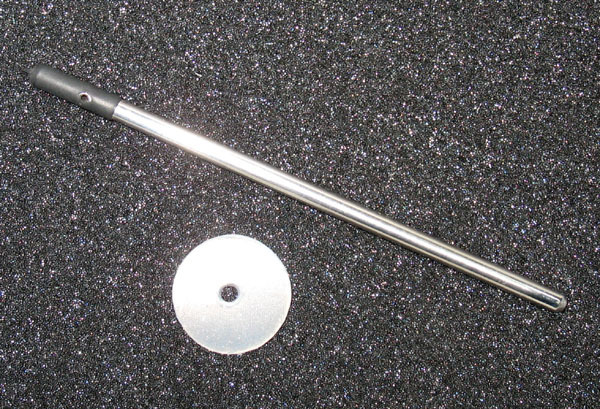 Urethral probe, stainless steel, 155 x 6 mm. With silicone disc 32mm. Fenale connector in the isolated handle. Specifications as a probe: Length: 130mm, diameter: 6mm, weight: 35g.